Widely known as Boston's Little Italy, the North End has seen its share of changes over the years. 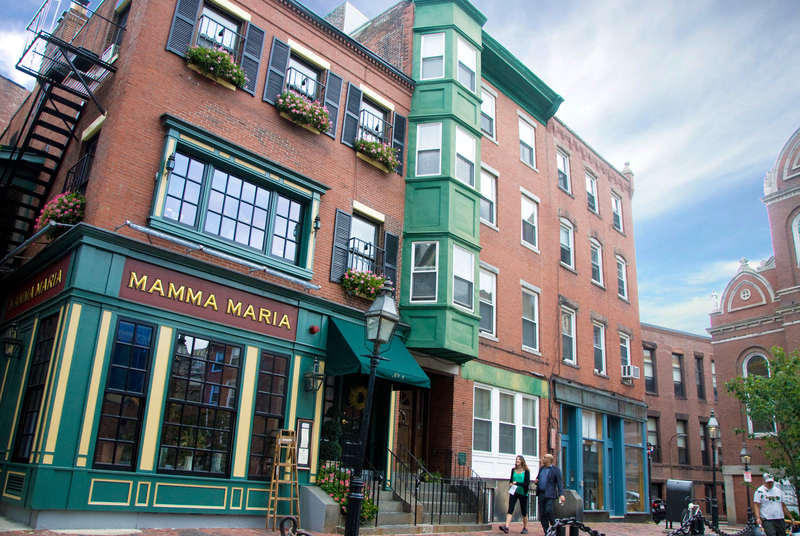 The North End is Boston's oldest residential community, dating back to the 1630's. Once predominantly Irish immigrants, then Jewish, the North End gradually became a neighborhood of mostly Italian immigrants around the turn of the 20th century. Once grand mansions were replaced with tenement style buildings by the late 19th and earlier 20th centuries to accommodate the many immigrants moving to the area. While the North End was not always such a coveted place to live as it is now, it certainly has always been a community full of life and steeped in tradition. In the 1950’s, an elevated expressway was erected to help relieve traffic congestion. This central artery effectively “cut off” the North End from the hustle and bustle of downtown Boston. Residents were still, as they are now, just steps to downtown, the Financial District, and Faneuil Hall Marketplace. But something happened that was not intended but occurred nevertheless; the Italians and Italian Americans living in the neighborhood became an even more tight knit community. Kids playing in the street, neighbors sitting outside their buildings in chairs discussing affairs of the day, quiet solace, these things were ordinary. Even with the elevated expressway long gone and the majestic Rose Kennedy Greenway in its place, this mentality is still prevalent. The residents still alive to tell these tales and their sons and daughters remember the way it was. And they continue to try and live that way even now. This is what makes visitors and newcomers to the neighborhood feel like they are somewhere else, home even, not just Boston. The North End is only just about 1/3 of a square mile and houses just over 10,000 people. In this small space fits close to 100 eating establishments! Even now, among waves of young professionals and empty nesters, the North End is still 1/3 Italian or Italian American. Truly one of Boston’s most coveted places to live. Considering moving to the North End? You can search rentals here and sales here.